The Green party has identified several members of its Diyawanna group as ‘double dealers’ and the party’s whip is about to come down on them, they say. The party hierarchy has received reports that some of them are in the habit of openly criticizing the party leadership. 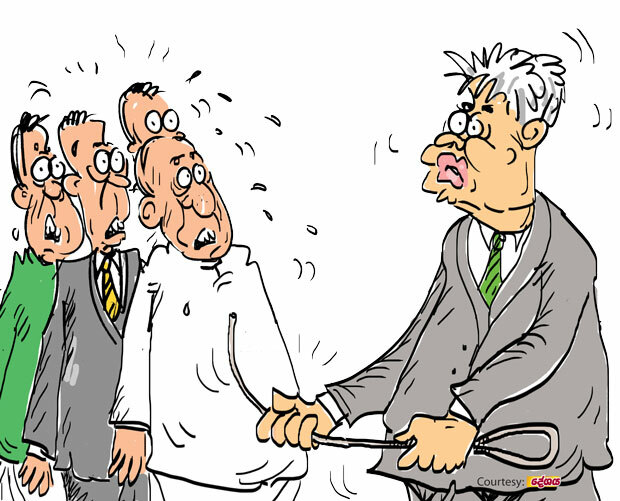 Three to four from among the double dealers hailing from Galle, Polonnaruwa and Kalutara are already facing disciplinary action for undertaking foreign travel without the nod of the party leadership. Meanwhile, a top team member from Galle holding a key portfolio has already received a severe reprimand from the party. The Green party leadership has also initiated inquiries to check the veracity of reports that another four to five from the Diyawanna group from Ratnapura, Kurunegala and Matale are poised to get on board the double dealers’ boat. Later fearing a backlash, the purohita had left no stone unturned in his effort to prevent the print and electronic media going to town with the story, they say.